But will heavy incentives end up hurting Big Three automakers? 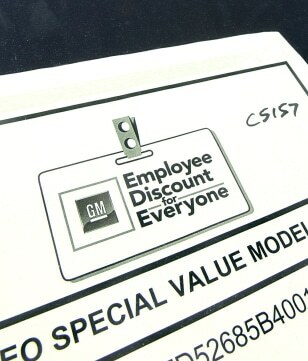 A sticker on a windshield offers "Employee Discount for Everyone" prices to customers at the Riverton Chevrolet dealership in Sandy, Utah last month. GM's pricing offers led to great sales in June, but also spurred its two American rivals to offer incentive packages of their own.